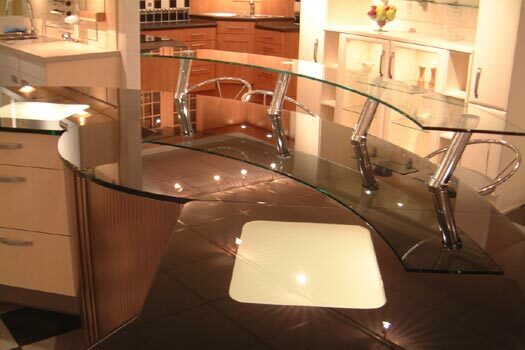 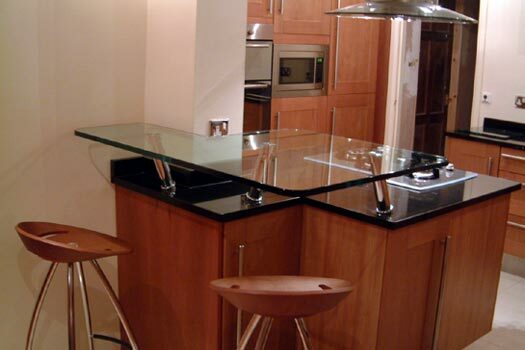 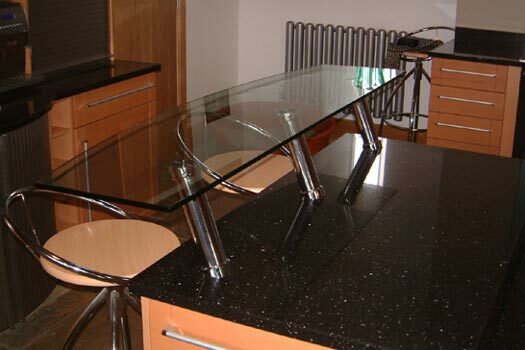 When introducing other materials to work together with glass, raised glass breakfast bars have become a feature which can greatly influence how a kitchen is used. 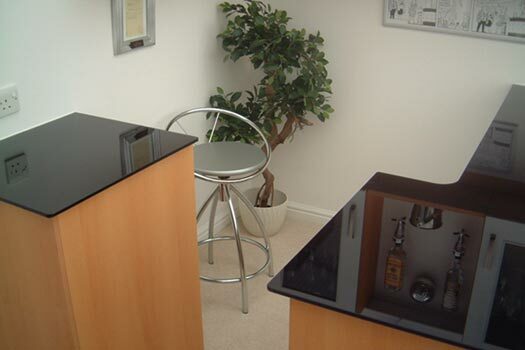 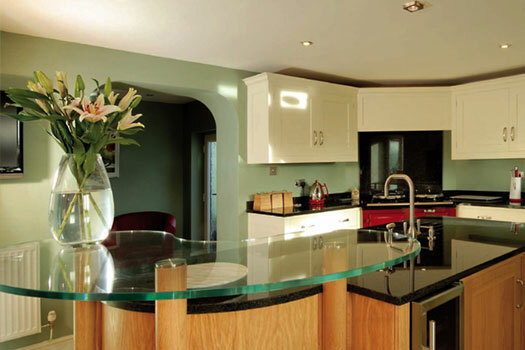 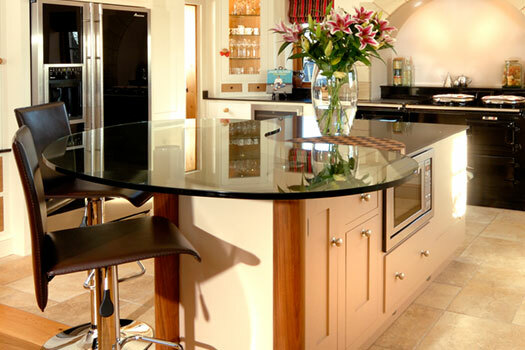 Breakfast bars create a stylish attribute whilst providing a functional surface in the kitchen. 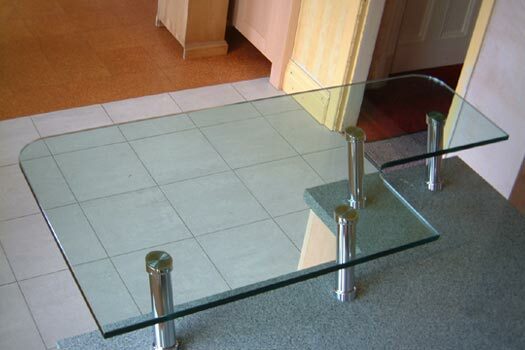 Various supports are available depending upon the desired look and glass can also be painted or clear. 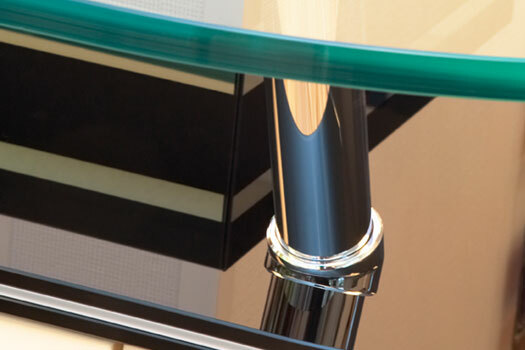 Fixed to the glass using UV technology the result is an invisible bond between the glass and support. 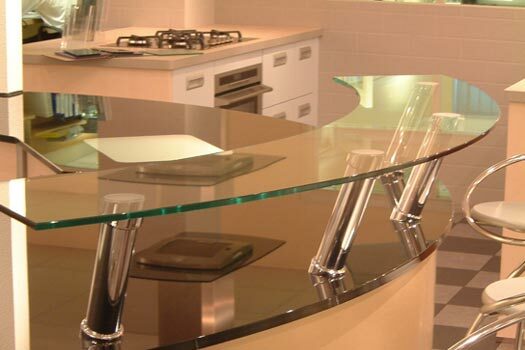 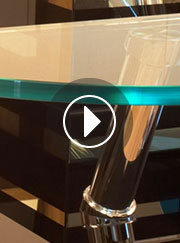 Glass used for this purpose is generally 10mm or 19mm in thickness in either clear or low iron glass. 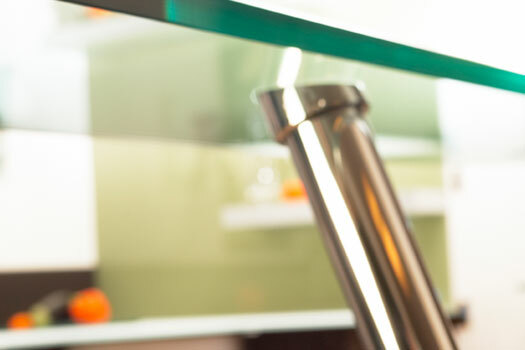 Not only do breakfast bars succeed within the home environment they are also becoming more prevalent within commercial settings such as receptions, bars and restaurants.